The easiest instant pick-me-up when you’re looking washed out or overtired, a subtle flush or vibrant lip will lend ‘life’ to a lacklustre complexion. 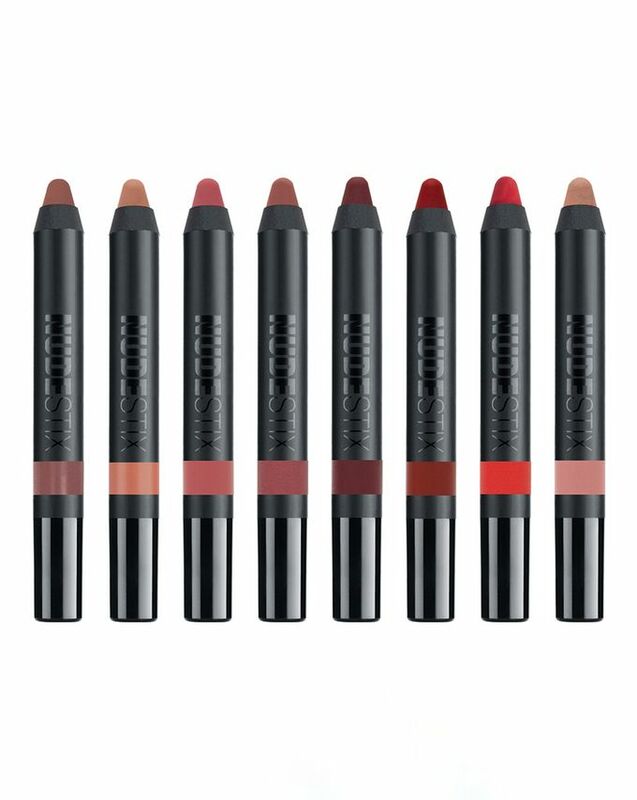 Ultra-creamy and non-drying, these multi-tasking matte pencils are handbag must-haves – simply scribble on the apples of your cheeks and blend with fingertips for instant ‘oomph’. 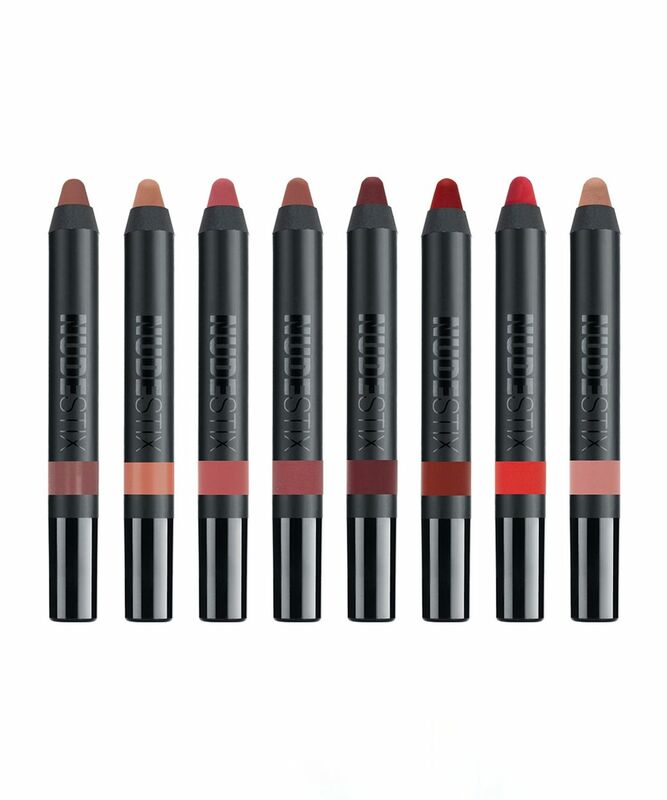 NudeStix versatile Intense Matte Lip + Cheek Pencil is a hard-working addition to your make up wardrobe. Long-wearing and water-, kiss- and canapé-resistant, the pigment-rich pencils apply and blend seamlessly – layering to transition from hint-of-tint to full-on wow-factor. Complete with sharpener, use to outline and ‘fill in’ lips, as well as to achieve a creamy, smudge-proof flush that looks pinched-your-cheeks pretty. Available in eight matte shades, ranging from muted nudes (‘Entice’, ‘Tamed’ and ‘Belle’), pretty pinks (‘Kiss’ and ‘Purity’) and classic shades of red and rouge noir (‘Royal’, ‘Raven’ and ‘Stiletto’), they're the easiest way to look polished with next-to-no effort. Outline then fill in the full lip. Smack your lips. Lightly swipe colour on apples of cheeks and blend outwards with your fingers. Dimethicone, Diisostearyl Malate, Synthetic Wax, Distarch Phosphate, Polybutene, Dimethicone/Vinyl Dimethicone Crosspolymer, Caprylyl Methicone, Dimethylimidazolidinone Rice Starch, Glyceryl Caprylate, Pentaerythrityl Tetra-Di-T-Butyl Hydroxyhydrocinnamate, Silica, Isoceteth-10. I've always wanted a red lipstick that will stay on my lips without fading away in the middle or drying my lips out. Royal does that. I don't have to retouch it, and it doesn't leave marks on everything and everyone I come into contact with. I also love the fact that I can use it for cheeks and lips because it creates a nice finish. I also have Purity, which is great but for some reason needs to be refreshed after a few hours on the lips (lasts well on the cheeks though). Me encanto, hidrata, dura, color precioso. Una maravilla *** I love, moisturizes, lasts, precious color. Fantastic! Royal is definitely my new favourite red lip! Goes on smooth like butter, very pigmented, comfortable on the lips and stays on for a long time. Belle and Purity are on my wishlist. Love the color Stiletto! 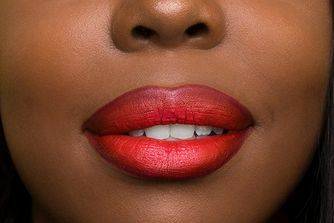 To me this is the perfect every day red lipstick. It only needs a quick fix up if i have a lunch with oil. The color is a bit orange-red and looks good to my light skin and to sun kissed skin. Haven't tried it as a blush. Long lasting lipsticks never last on my lips... either i move my lips around too much or they dry me out and it flakes off... This one LASTS and DOESN'T DRY my lips. Its highly pigmented and doesn't feel heavy at all. I highly recommend for people who want a red lip without it fading towards the inside while feeling super light.